Bring a layered look to the WOD. 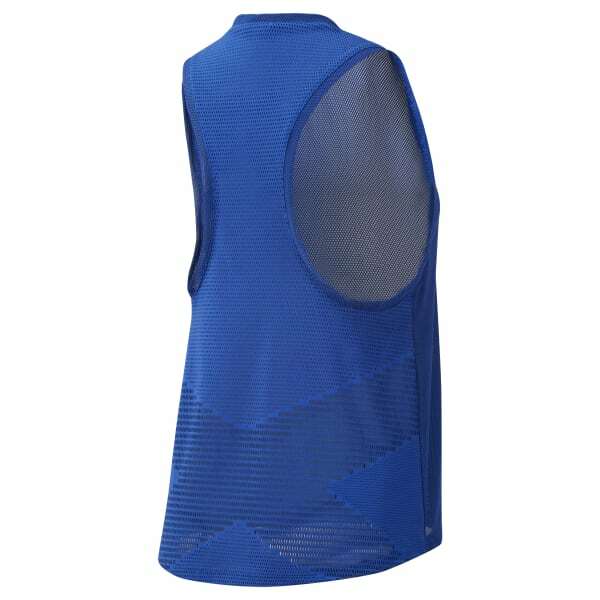 This women's training tank top has a breathable mesh front and an open-hole jacquard back to keep you cool and show off your sports bra. It's made with Speedwick fabric so you stay dry from start to finish.